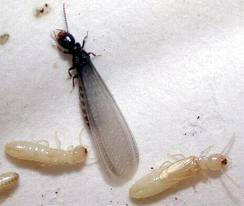 Kilter Termite and Pest Control is the company that homeowners in Anaheim, California, have trusted to eliminate their termite infestations since 1991. We take a different approach than most other pest control companies in the area. By using our innovative and advanced termite treatment system – KILGUARD – we are able to achieve superior results while minimizing inconvenience to our customers. The KILGUARD system does not involve tenting or fumigation. Rather, it is injected into critical infestation sites and is safe for families and pets. This means that our customers in Anaheim, CA, can remain in their homes during treatment and avoid spending additional money on alternative accommodations. Most importantly, our termite control system is proven effective at eliminating termites of all kinds and preventing recurring infestations. We will provide a complimentary inspection and accurate quote before you commit to using our services. We back the effectiveness of our termite control system with a two-year warranty. We offer optional services, such as an extended service contract to keep pests away from your home and a wood replacement service to address damage caused by termites. If you’d like to learn more about why the treatment services that we provide are more effective and convenient than the competitions’, contact Kilter Termite and Pest Control today. One of our knowledgeable representatives will be happy to answer your questions and schedule a free termite inspection at your home in Anaheim, CA.